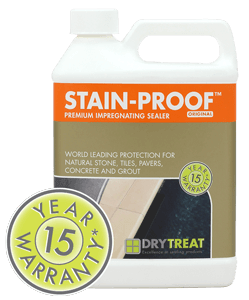 DRYTREAT STAIN-PROOF Original™ is an impregnating, invisible and breathable sealer that provides premium long term protection for natural stone, tiles, pavers, concrete, brick and grout from water and oil based stains and damage caused by water and dissolved salts. Treated indoor and outdoor surfaces become easier to clean and keep looking good for longer. 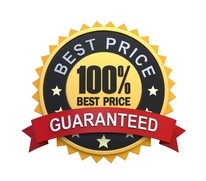 DRYTREAT STAIN-PROOF Original™ is suitable for a wide variety of indoor and outdoor applications in residential and commercial buildings, including: building facades, floors, walls, countertops, showers, swimming pool surrounds, patios, garages, kitchens and entertaining areas.